Seven-time Grammy winner shapes the sound of Latin Urban contemporary music with studio monitor and headphone calibration software. As a producer and mixing engineer, seven-time Grammy winner MarioSo DeJesus continues to help shape the sound of Latin Urban contemporary music through his carefully evolved process in the studio. His trademark blend of Hip Hop and R&B with tropical Latin rhythms has lent key stylistic elements to recordings by platinum-selling artists like Wisin & Yandel, DLG and Ricky Martin, to name a few, and to bring the mix together he monitors with Sonarworks Reference 4. 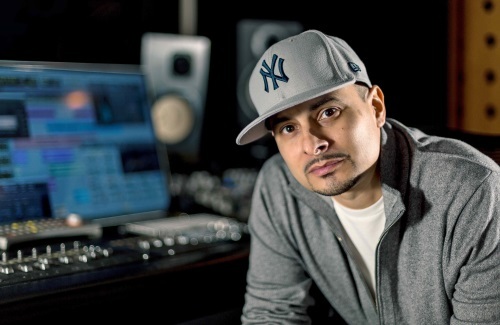 Inspired at a young age by Hip Hop DJs on the radio and at local block parties, DeJesus eventually landed a job as a tracking engineer at a premier Hip Hop recording studio, where he honed his ear and gained familiarity with one aspect of engineering that would come to inform his signature mixing style. But even with his multi-genre expertise, DeJesus argued that the most important aspect of his approach is his ability to identify and execute the producer’s intentions for a record. “First, I generally listen to figure out, sonically, what is the concept of the mix — from the interpretation of the vocals, to how the producer tried to express his musicality,” DeJesus says. When a colleague recommended Sonarworks Reference 4 to DeJesus claiming the flat response could allow him to start mixing on headphones, But once the software was installed and set up to deliver calibrated audio to his room, DeJesus said that he realized he would never need to go out to his car to check his mixes again. “After mixing 30 or so songs with Sonarworks, I knew I could be confident about what I was hearing. With many projects on his plate and also in the queue, DeJesus has established a consistent workflow with some choice tools to help him stay efficient. In addition to using Sonarworks Reference 4, he will reach for his Waves SSL G-Channel, which he uses as his primary EQ and dynamics plugin on all his mixes. DeJesus is currently working with DJ Nelson as well as busy mixing a new album for Huey Dunbar, the Grammy-nominated tropical artist who combines jazz funk and R&B sensibilities. Soon after that, he will be mixing a new album New York City-based Funk Salsa Urban, which is pushing new boundaries in the salsa music genre.